What makes this show so good? The science magic show is the only science show that does not encourage young school age children to start mixing chemicals or igniting flammable gasses. 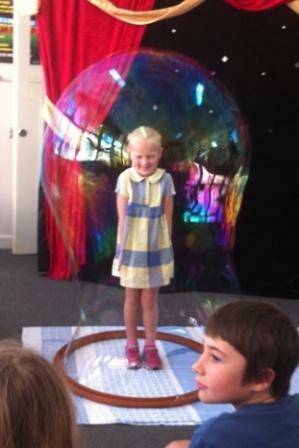 The science magic show is a 100% safe and responsible show for younger school age children. The science magic show is also the only show that uses the fun, mystery and comedy of magic tricks, which kids love! to demonstrate the practical use and methods of various scientific principles. Kids learn best when they are engaged and have fun…that’s a fact! And lastly, almost all tricks, stunts and illusion can easily be replicated with very little practice and use simple household items. The goal of the show is that the children will become the educators as they explain the science and magic to their friends and family. Is it a magic show? No. The show uses magic to teach Science. Do you have a Rabbit? Yes in my magic show, but not in this science show. Can the show be done outside? Generally no, ideally inside is preferred. How many kids can attend? Do you discount for multiple shows? Do you have a ‘Blue Card’?